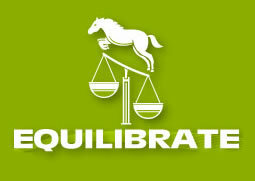 Equilibrate-Nutrition for the Balanced Horse was established in 2001 by Michaela Bowles BSc (Hons) PGCE, RNutr (UK). manufacture equine (and canine) nutritional supplements according to the most up to date research recommendations including the use of phytogenics, that increase digestion, improve feed conversion, boost immunity and improve overall health.Pharmaceutical and food grade ingredients are used and incorporate food source and amino acid linked minerals, vitamins, nutraceuticals, herbs and spices and at EFFECTIVE levels. There are no flavourings, preservatives, fillers or banned substances used. 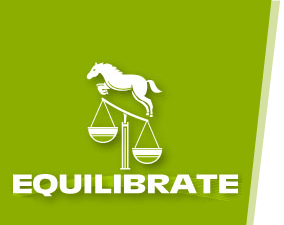 Equilibrate-Nutrition for the Balanced Horse also offers education, training and consultancy. Please use the enquiry form. Michaela has undertaken courses in humane horse handling and natural hoof trimming. Has lectured in land based colleges on all aspects of equine science and management to graduate level.Has tutored and examined for the Open College of Equine Studies and been an Edexcel Biology A’ Level Examiner. Worked for Redwings Horse Sanctuary, UK, as a welfare officer, who specialise in rescue and rehabilitation of neglected equines. 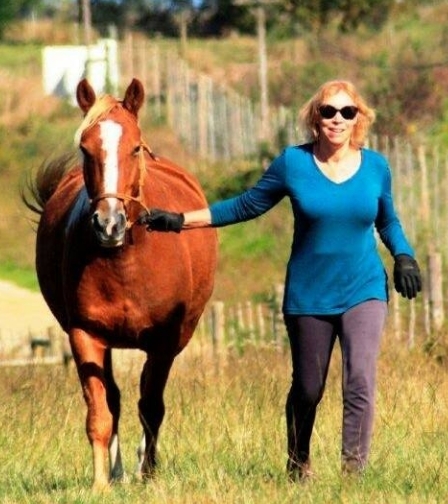 Writes on a variety of horse related issues that have appeared in HQ, SA Horseman, Horse and Hound and Equiworld.Is a horse-owner (30+yrs) participating in endurance, hunting, SJ, dressage and ODE.